You are here: Home / Celebrating Entrepreneurship / Inculcate These 5 Habits To Manage A Small Business Successfully! 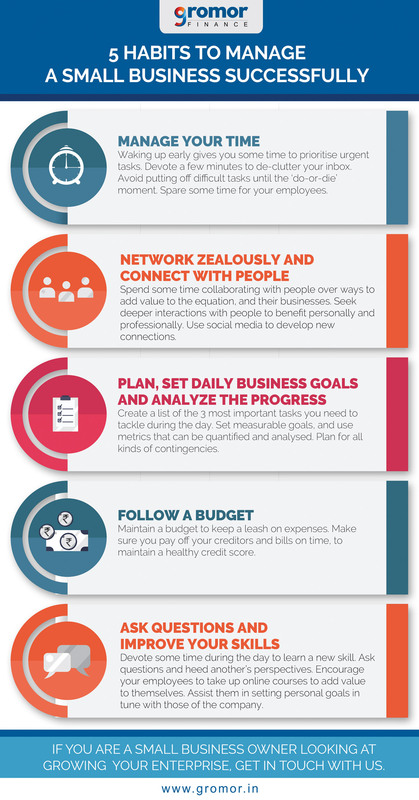 Inculcate These 5 Habits To Manage A Small Business Successfully! Given the countless best-sellers written on the importance of cultivating certain habits to achieve success, we can no longer deny the truth in it. Successful people around the world, swear by inculcating a few simple habits to keep them focused on the goals they want to achieve. For a small business owner too, it is beneficial to develop habits to ensure that the business is resilient and growing consistently. Irrespective of the industry to which a business belongs, there are certain habits that every small business owner can consider and cultivate for successfully managing his/her business. Let’s take a look at some of them. 5 Habits To Manage A Small Business Successfully! Here are 5 habits that could help an owner successfully manage his/her small business. Probably the most cliched of all habits, and yet the most effective one, managing time is not just a habit – it is a skill. Time is precious and needs to be utilised optimally. One of the habits associated with time management is waking up early. The success of a business requires true effort and grit, along with steadfast concentration. 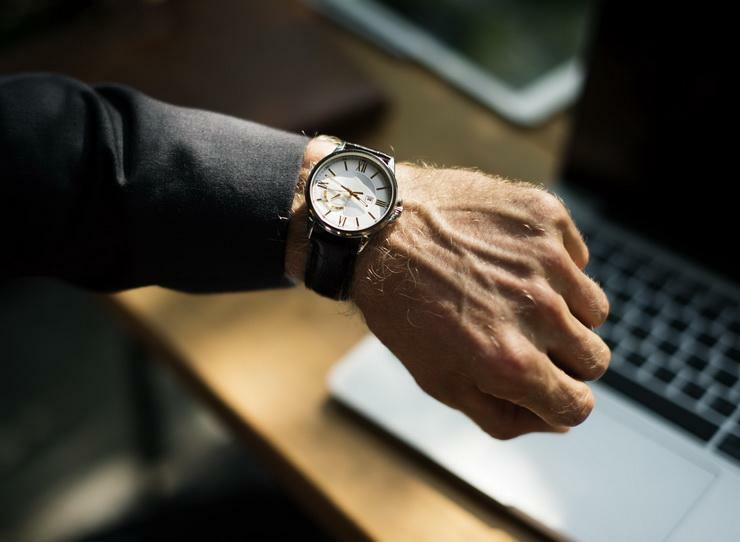 Considering that you would be caught up with matters that need immediate attention during the day, those early morning hours can help you define a structure and prioritize your work. There’s no better habit for achieving your goals, whether personal or professional than waking up early. Another way to save time is by devoting the first 15-20 minutes of your day to managing your emails. It has been observed that clutter results in a loss of focus. Given the progress in technology, there’s not a moment when you are not working. Thanks to perpetual connectivity, your inbox is never idle and empty. By setting up filters on your inbox, make sure that you declutter it as soon as you are at the office – prioritise the emails based on which of them need to be answered/actioned upon first. Additionally, be mindful of procrastination. It is a natural tendency to put off difficult or irksome matters until the ‘do-or-die’ moment. This could be harmful if the matter has a considerable impact on you or the business. Make it a habit to devote some time during the day for such matters. Most importantly, keep some time aside for your employees. A business, big or small, cannot function without its people. It is necessary to communicate with them, beyond work. Success in business is not always about what you have, what you know, or what you are even capable of. 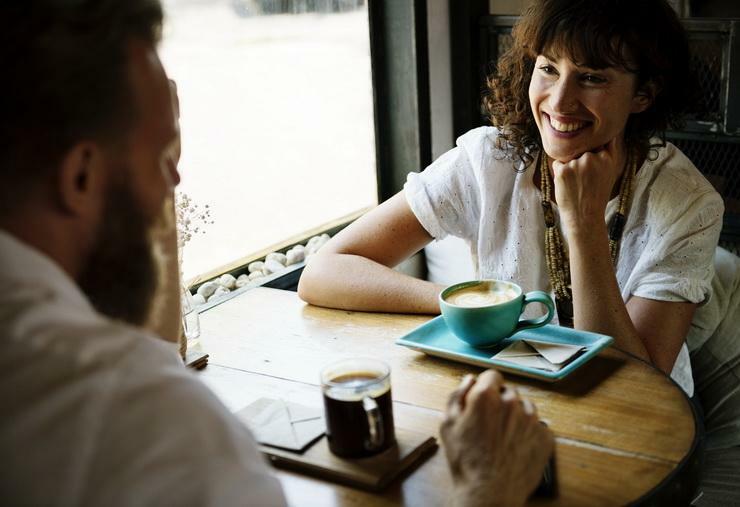 Most of the times, it is about who you know that really makes the difference.It is a healthy practice to include networking in your daily schedule. Spend at least an hour meeting and collaborating with people, to find out where you can add value to the equation. Find ways to guide people in the right direction and add value to their business, without expecting anything in return. Eventually, it will help you find something or someone that can help your business. Another important habit is to connect with people, at any given opportunity. Given the mind-boggling reach of social media, you have the means to connect with people from diverse communities, geographies and strata. Don’t directly seek advantages for your business – connect with them on a deeper level, inquiring about their lives, purpose, and goals. Such interactions often result in life-changing discoveries, which may influence you personally, as well as professionally. You may be able to emulate certain practices in your business too and gain from it. Also Read: Application For Business Loan Rejected? Here's What To Do Next! Growth needs goals. Not just annual targets, but daily goals. These smaller goals act like markers or milestones on the path to the bigger, seemingly out-of-reach goals. Have a list of the ‘Top 3’ critical tasks to be completed during the day to improve producitivity. It is important to set measurable goals, by choosing metrics that can be monitored and analysed. The metrics should be in tune with the nature of the business and should be able to reflect its progress based on the goals. Additionally, make it a habit to plan for contingencies that might occur during the life of your business. Planning is crucial, especially to face tough times. People who create a plan are far more likely to achieve their goals. It’s a fact that expenses can balloon out of our control if we don’t set a budget. It is necessary to keep a leash on your impulses and stick to the budget. Keep an eye on the cash flow specifically, since this is essentially the life and blood of a small business. Make sure you have enough to service all your credit obligations – defaulting can reflect poorly on your credit score which ruins your chances of securing credit in the future. Following a budget keeps you grounded, and your business healthy. Learning is fundamental to success. You will never know enough. Thanks to technology, you have access to information, literally at your fingertips. Make it a habit to learn a new skill, by keeping aside some time during the day. Although it may not help you overnight, you will find situations where you can apply your newly found knowledge. Additionally, it is important to pass on the knowledge to the people who work for you. Encourage them to add value to themselves, beyond their daily tasks. One way to do this is by having periodic one-to-one sessions with them, to assist them in setting personal development goals that are aligned with those of the business. Additionally, you can get them to sign up for online training courses to develop their communication skills and technical skills. The employees must be reassured that the growth of the company is linked to theirs. While asking questions might appear childish, it can help you destroy the bubble that restricts your scope of knowledge. Make it a habit to ask lots of questions. Listen to the perspectives of others. Heed advice. Remember, that habits are not formed overnight. Make small changes over a period of time, and keep track of the developments occurring owing to these changes.